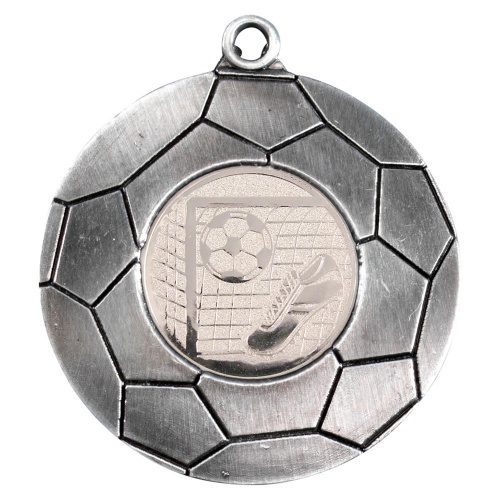 Quality medals in antique silver colour finish, featuring 1in football theme centre inset in a domed design. 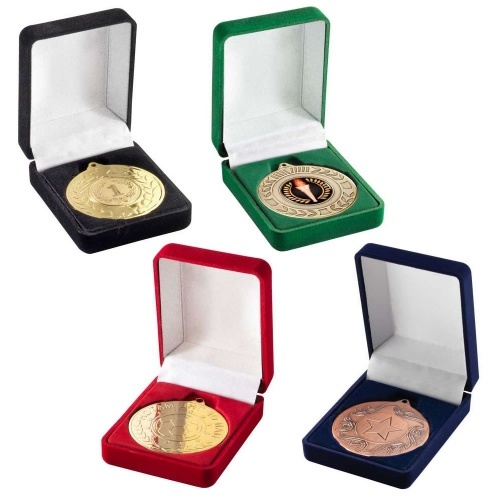 50mm / 2in in diameter, with ribbon loop (medal ribbons can be ordered separately). These silver football medals are offered with engraving options (engraving will go on the blank reverse of medal) and an optional presentation box is also available in four colour options.